Home » Community and Society » Are new construction projects including parking space? Are new construction projects including parking space? 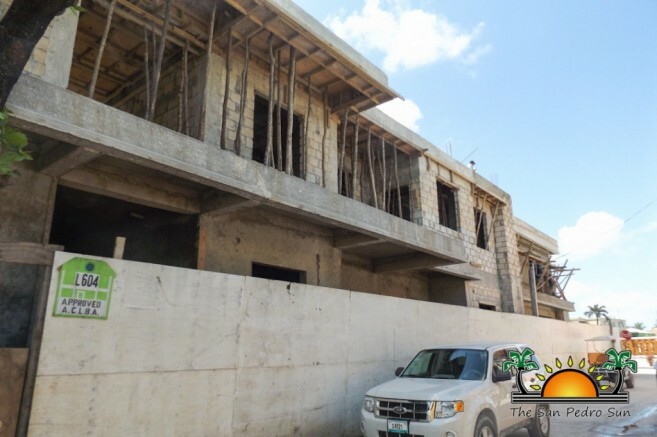 Progress and development on Ambergris Caye is seeing major construction projects steadily going up in San Pedro Town. The large-scale developments have raised concerns, especially related to traffic and parking. 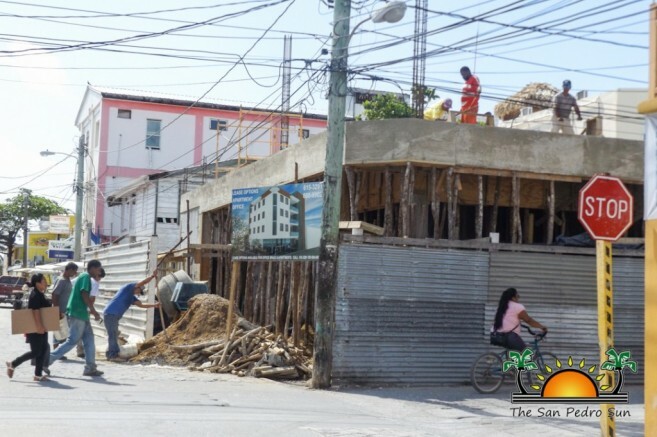 With traffic being one of the top issues on La Isla Bonita, the question is, do these buildings allocate adequate parking spaces in their plans? The San Pedro Sun spoke to Fidel Ancona from the Ambergris Caye Building Authority (ACBA). According to Ancona, allocating parking areas should be the number one requirement for any commercial building in Ambergris Caye. He also explained that strict construction guidelines must be adhered to, especially in the town core. “Any construction project must leave a space of five feet on two sides of the structure, with a minimum of ten feet at the back and eight feet for parking in front,” said Ancona. In an effort to clear the streets, similar regulations for onsite parking are enforced for residential buildings. With the construction of commercial buildings in downtown, and the traffic congestion and lack of adequate parking space, the ACBA is enforcing this regulation. 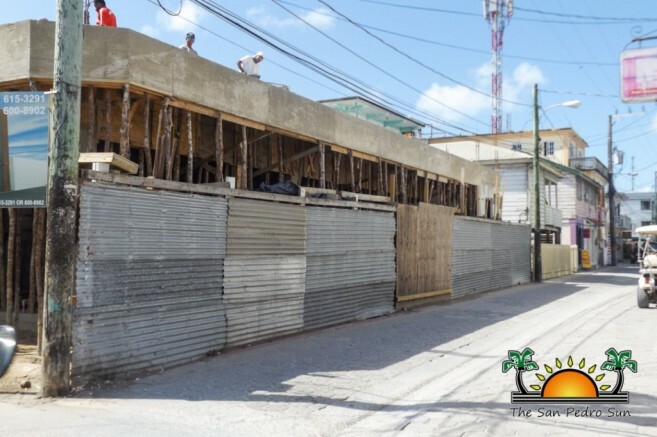 There are presently two commercial buildings under construction in San Pedro town core that have raised the parking space issue. One has revealed that it will have 21 parking spaces that will not only accommodate golf carts, but also pick-up trucks, without obstructing the street. The second project, smaller in size, has also accommodated parking. The San Pedro Sun was given a brief inspection by the contractor, who assured that parking would not be an issue for its customers. Ancona indicated that the foundation of these construction projects have satisfied the guidelines of the ACBA, however, they will continue monitoring those that breach regulations. “From the time the projects are approved, and through the construction phase, we regulate them to ensure that there are no alterations in the original plans” said Ancona. The San Pedro Sun also learned that in the past, certain companies dismissed the ACBA after being denied approval turning instead to the Central Building Authority (CBA). Ancona indicated that this not only happened on Ambergris Caye, but in other parts of the country as well. “It was becoming a problem countrywide when CBA would override our decisions,” said Ancona. “We had a meeting with the Central Building Authority, and they agreed not to interfere with our internal rulings. Since then, we have not experienced such problems.” Ancona did mention that the only way Central Building Authority would intervene is in the case of an arbitrary situation, whereby an individual is denied approval even though he/she has all the requirements. The ACBA assures the community that it will continue monitoring developments on the island. Once again, the need for a Master Plan was brought up. “Until we get the master plan, we need to be careful how the island develops, and for that we are committed to ensure that all regulations are being followed,” ended Ancona.